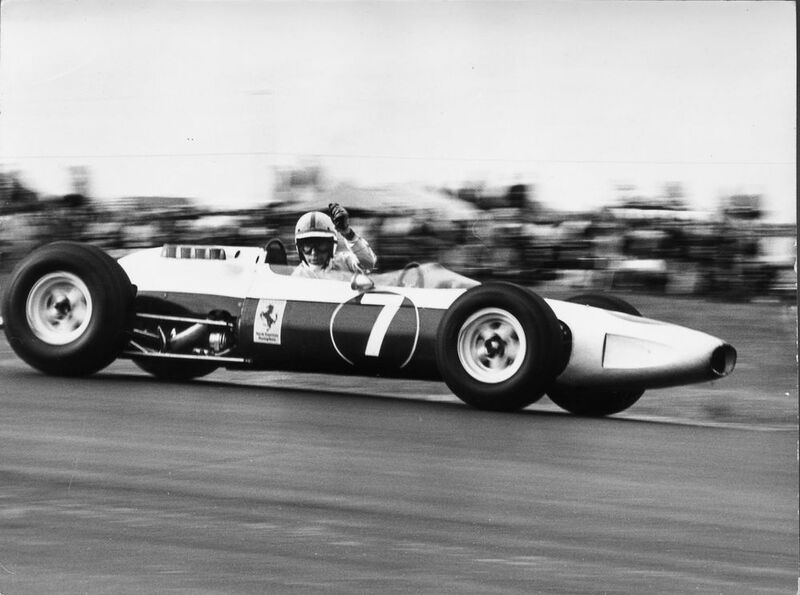 Three drivers went into the race with a chance of winning the championship - Jim Clark, Graham Hill, and John Surtees - and at various stages, all looked like they were going to win it. At half distance, Hill was in prime position until a spin damaged his exhaust and he dropped out of the points. With two laps to go, Clark was looking set for his second championship, out in the lead as he so often was. Then came the familiar Lotus story - reliability issues. If TV coverage was as good then as it is now, ‘is that Glock! ?’ would probably have been ‘is that Clark! ?’ as engine failure left him out of the race on the brink of winning the championship. That put Hill back in position to win the title, but Ferrari had other ideas. Clark’s issues had promoted Lorenzo Bandini to second and Surtees to third. Realising Surtees would win the title if his finished second, the order to swap positions was issued. 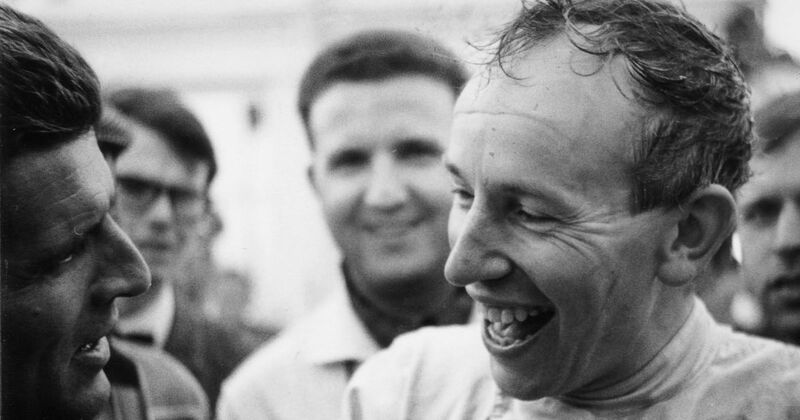 Surtees finished second as Brabham’s Dan Gurney won the race, and Surtees became the first (and only) person to have won the world championship on two wheels and four. Ferrari drivers Jacky Ickx and Clay Regazzoni cruised to a one-two after Jackie Stewart’s retirement was brought about by crashing into a stray dog that had wandered on to the circuit. The dog wasn’t the only thing to invade the track, though. Fans decided that standing behind the barriers was a bit too far away for them and many simply hopped over and sat on the grass at the edge of the track. Stewart and local hero Pedro Rodriguez had to go out before the race and ask the fans to move back - which they did, but only for a while. As the race progressed, many jumped back over the fence, and some even started crossing the track. It’s no wonder the race was dropped from the calendar afterwards, not returning until 1986. Already that year’s champion, Nigel Mansell decided to gift a win to teammate Riccardo Patrese, who hadn’t taken a victory with the Williams FW14B all season. It was a moot gesture anyway since Mansell’s engine later failed, moving Gerhard Berger up to second and Martin Brundle into third. A sprinkling of rain made the early stages of this race a blast, with Daniil Kvyat surprisingly challenging Lewis Hamilton for the lead. As the track dried out and Kvyat crashed out, Nico Rosberg found himself in the lead and looking set for victory, until a mistake allowed Hamilton past to take the win and with it, the championship. The reason for Rosberg’s mistake? A sudden gust of wind, apparently. There was also humour in the cooldown room as the two drivers threw hats at each other in a display of petty passive-aggression. Perhaps the most bizarre qualifying session of all-time took place in Jerez for the 1997 title decider. Three drivers - title rivals Michael Schumacher and Jacques Villeneuve, plus Heinz-Harald Frentzen - all set identical lap times for pole position to within one-thousandth of a second. Because he’d set his time first Villeneuve was on pole, with Schumacher second and Frentzen third. Just as strangely, Damon Hill plonked his Arrows fourth, just half-a-tenth behind.